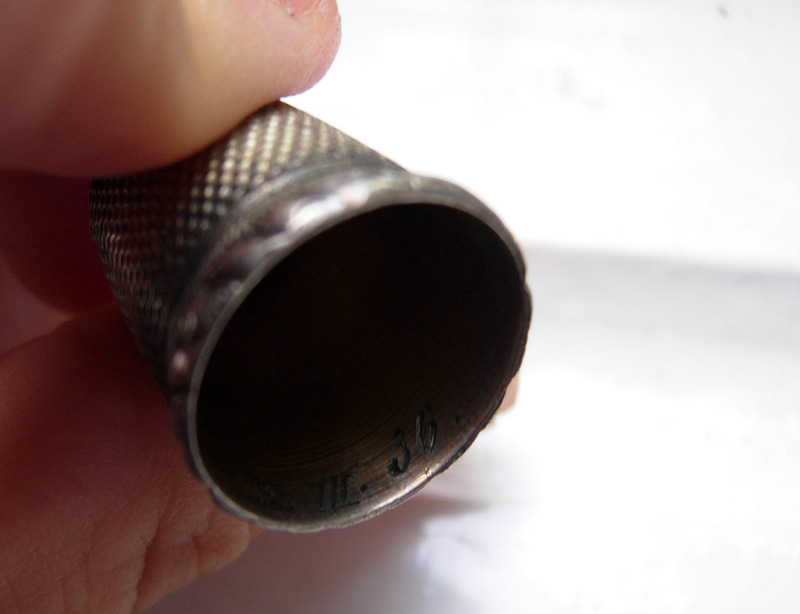 Some time ago I have found a very cheap silver thimble with an inscription inside from 1936. I have written about it here. 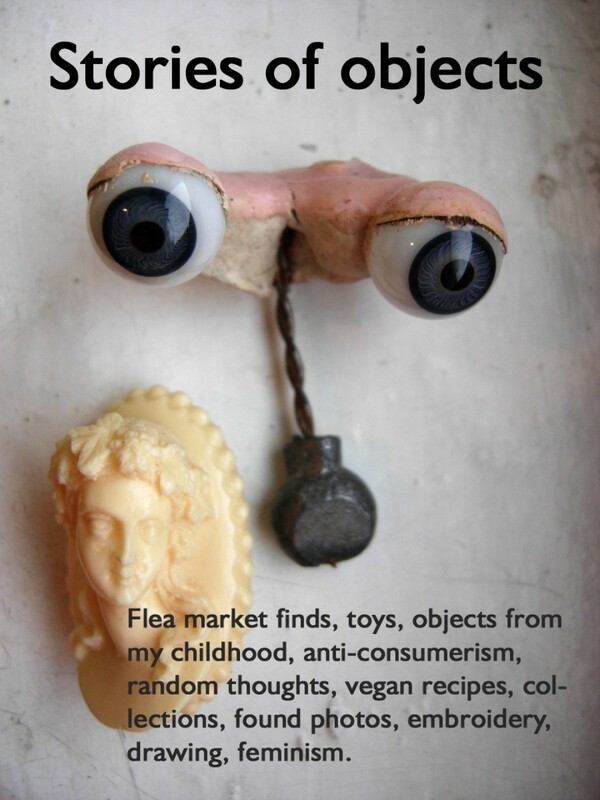 A week ago, at the flea market, I bought another thimble for less than 50 cents. 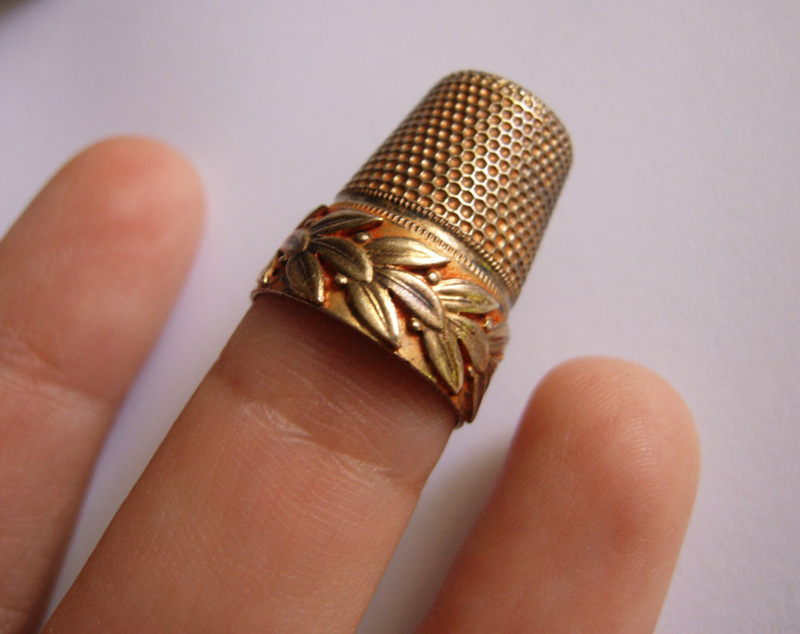 I liked it because it is beautifully made and it also fits nicely on my finger, so I thought it would be useful, too. 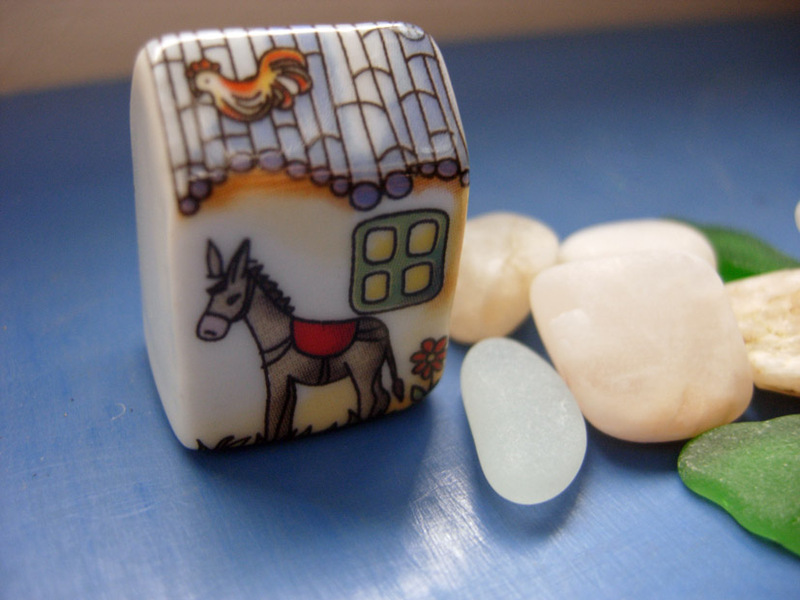 Editing the photos for this post, I noticed a hallmark on the new thimble. I looked with a magnifying glass and it is clearly marked 800! 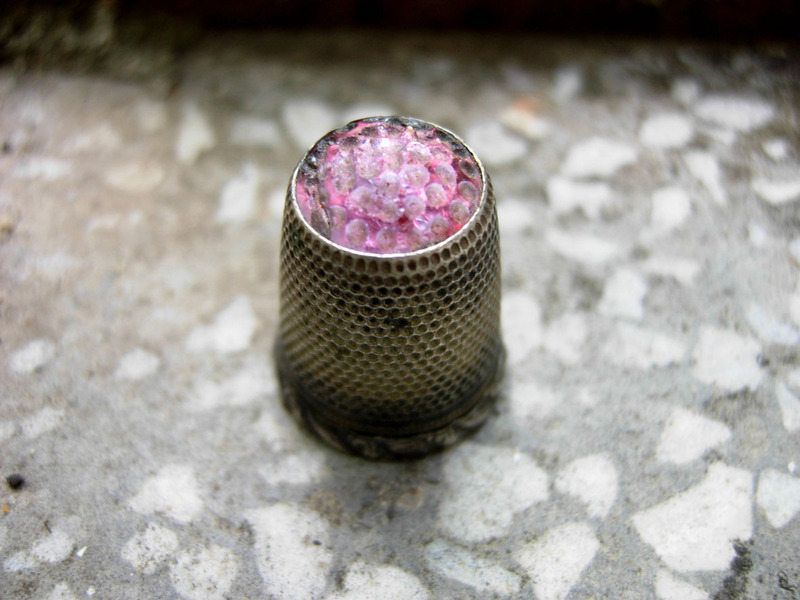 So, another silver thimble bought for almost nothing. It used to have red enamel on it, which is now almost gone. 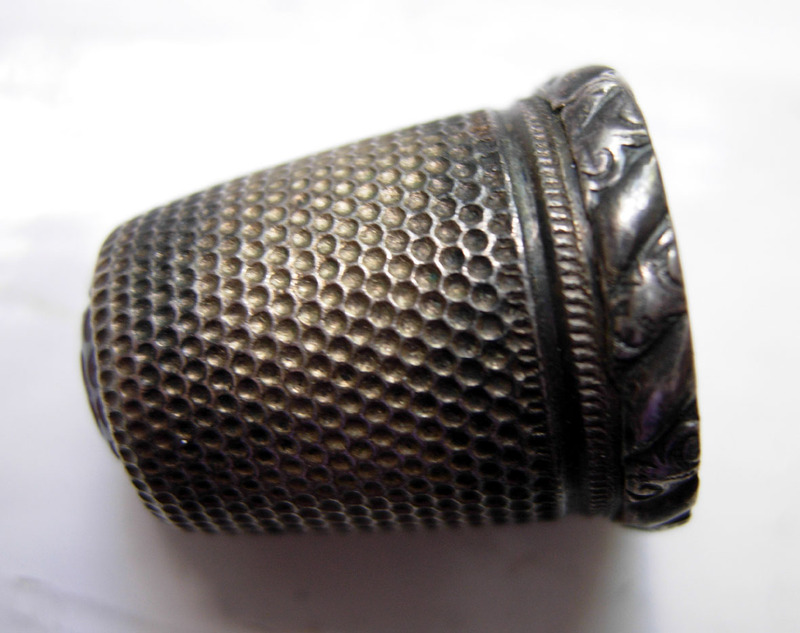 The third thimble is not silver, but I think it’s quite old (from the thirties? the forties?) judging from the font. The text on it says: “Quieta. In der tat, delikat!”. I have no idea what Quieta, “the actually delicious” thing was, I cannot find anything online. 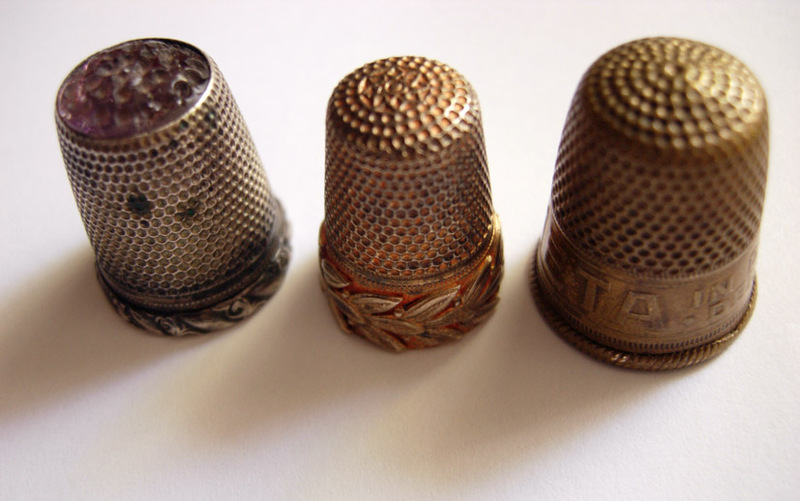 But it’s a good addition to my small thimble collection. 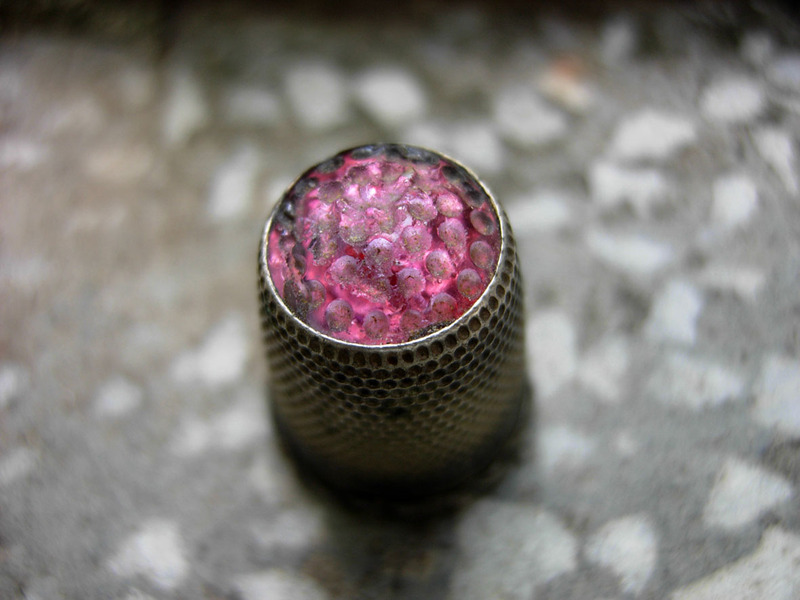 I have found this silver thimble at my least favorite vendors from the flea market. 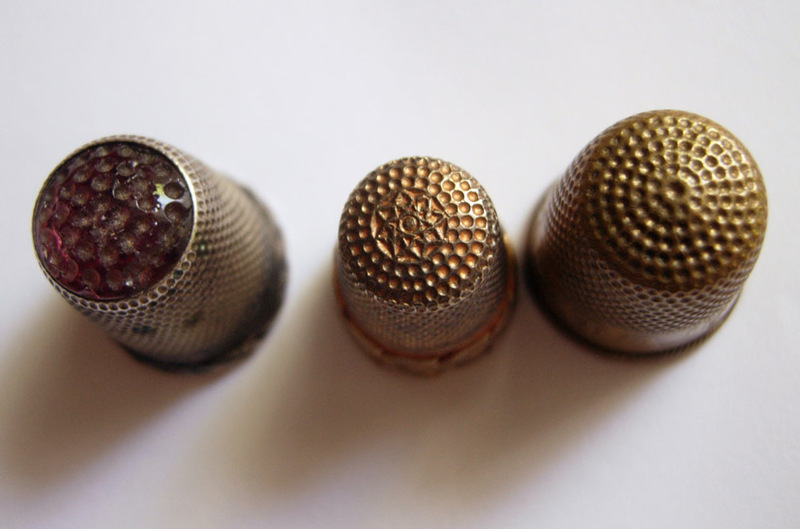 They always have absurdly high prices for not so interesting items, but while I was looking without much hope through a box of vintage and new sewing notions, I saw this beautiful thimble. 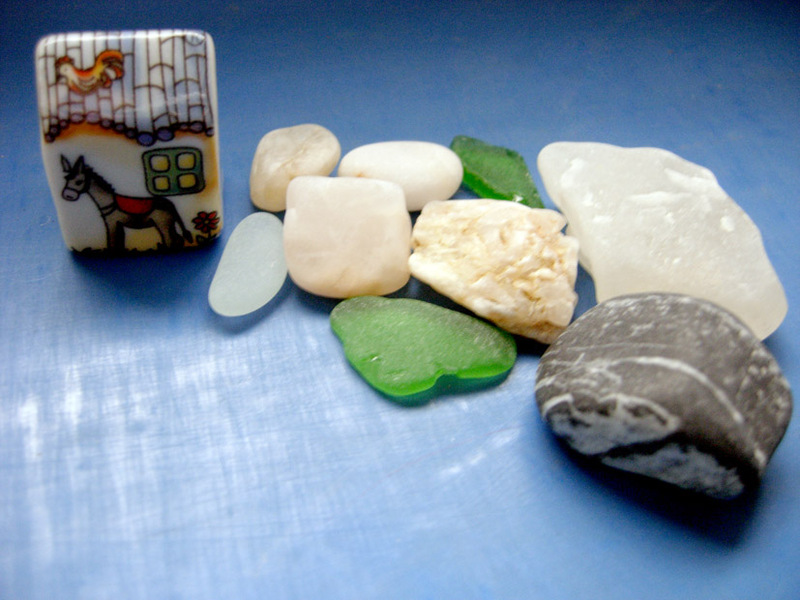 And I couldn’t believe the price: approximately 1,5 euro (same as the boring plastic thimbles in the box). I bought it and I almost ran away, afraid they might realize that they just sold me an old silver beauty :). 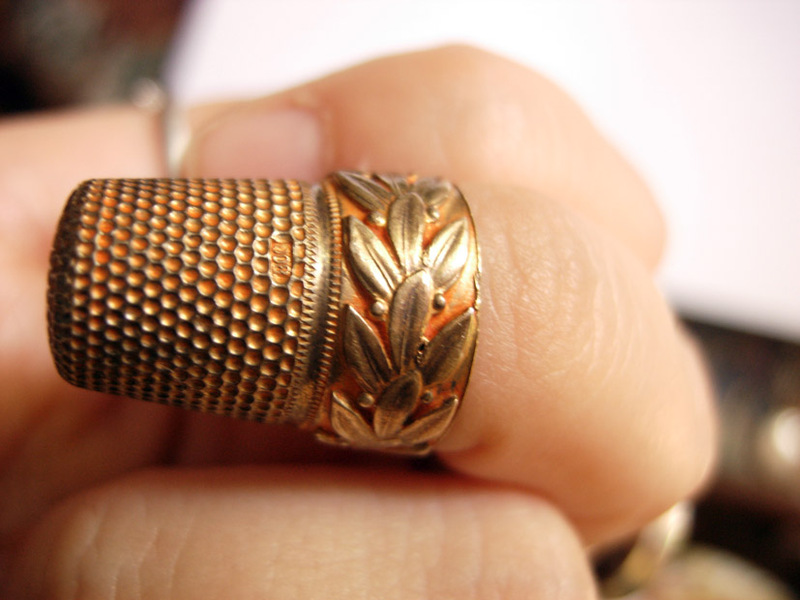 It has amethyst color glass that shows wear (which I really like) and in the inside a date is engraved: 05.03.1936. Maybe the woman who used it first received it as a birthday gift? Linking up with Vintage Bliss Tuesdays Party and Thriftasaurus.